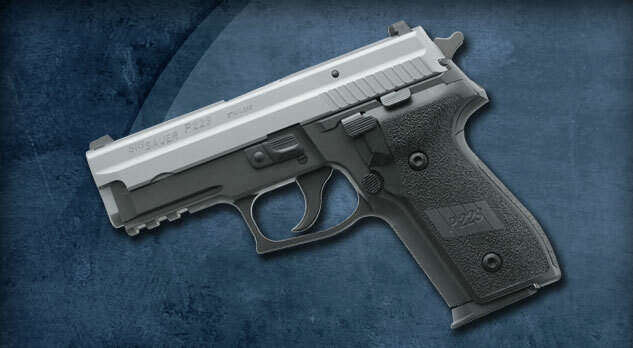 Like all Sig pistols the Sig Sauer P229 is part of a series of high quality, dependable, durable and accurate pistols. There are thousands of reviews of Sig Sauer handguns online, and what you never see is a review complaining that one of these guns failed. It just does not come up. Sig Sauer pistols are some of the most accurate out of the box handguns available and they are one of the companies that actually turns out a product that is as good as the manufacturer itself claims. The only issue I have had with them is their price, but I'll let my diatribe over the cost of my own P220 do for my venting. Otherwise, the guns are the real deal no matter which one you choose. 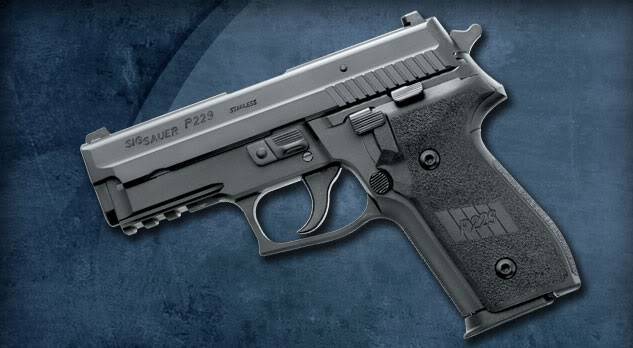 The Sig Sauer P229 was the first pistol to be manufactured in Sig's Exeter, New Hampshire plant. The proven durability, dependability and uncanny accuracy has resulted in the guns being carried by the Office of Immigration and Customs Enforcement. The P229 is the standard duty pistol for no less than the U.S. Coast Guard, and is carried by numerous other federal agencies and law enforcement agencies across the country. The basic model that is touted for concealed carry is all black with a DA/SA trigger and decocker. I carry my P220 with a round in the chamber, decocked. 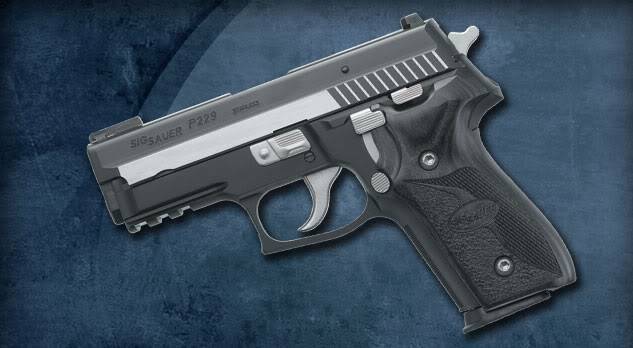 Other models of the P229 have different configurations. A few of them are listed below with a summary statement. 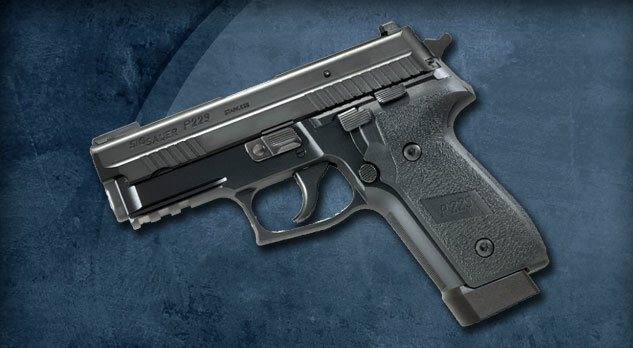 Sig Sauer P229 Equinox: This is one of the slickest looking pistols in Sig's line. The Equinox name refers to the two tone design that is available with numerous Sig models. 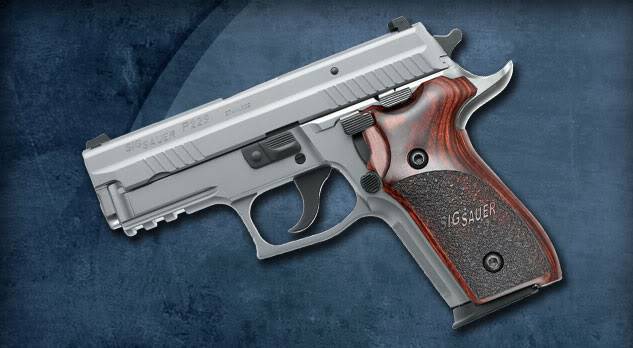 Sig Sauer P229 Two Tone: The design is in the name. A stainless steel slide with two tone finish. Sig Sauer P229 Elite Stainless: This is a beautiful multi tone pistol that weighs a hefty 38 ozs., comes with a 10 or 12 round mag, comes in 9mm or 40S&W, and sports a sizable MSRP of over $1300. Sig Sauer P229 SCT: An all black gun designed specifically for police work. Sports front cocking serrations, night sights and larger magazine capacity. No matter which of the models you choose, you will number one, pay a pretty hefty price for the pistol. Number two is you will get your money's worth. Sig Sauer pistols will last a lifetime, endure tens of thousands of rounds, and can be depended on to work when your life is on the line. So, if you have a few bills to spend, putting it into a Sig Sauer will not likely result in buyer's remorse. Dependable, durable, accurate, great looking. Get one.